Buy Lovelycraftians a Coffee. ko-fi.com/lovelycraftians - Ko-fi ❤️ Where creators get paid by fans, with a 'Buy Me a Coffee' button. 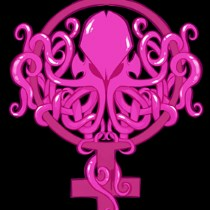 Welcome to the many misadventures of the Lovelycraftians: an all-female/female-identifying group playing Call of Cthulhu. Based in 1918 Chicago, the Lovelycraftians investigate the strange and dangerous events that threaten their friends, loved ones, and the city itself. Secured Payments. Support goes to Lovelycraftians's account. Upgrade Lovelycraftians to a yearly Gold Membership with a one-time payment.